Given today’s challenges, the steam-generating industry needs the most cost-effective refractory and brick installations. This requires knowing material and labor differences, understanding common labor applications, and accounting for the expansion issues unique to power plants. Following the best practices approach to subcontracting can achieve increased profitability and decreased risk. Steam-generating facilities limit their boiler outages to twice a year (spring and fall), with each boiler at a facility designated for a major maintenance outage or shutdown every 2 years (or less frequently). 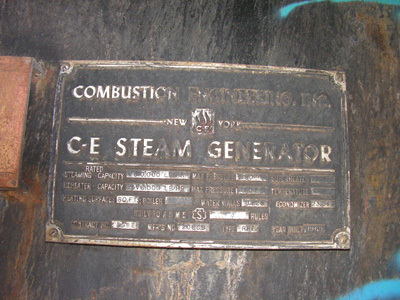 A steam-generating facility typically will have more than one type of boiler (for example, Combustion Engineering, D.B.Riley, Babcock & Wilcox, and Foster Wheeler) and as many as eight (or more) boilers in operation. 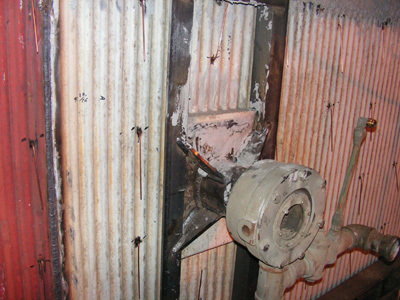 Excluding boilers with cyclone burners, which require regular refractory replacement, most boiler maintenance outages require little or no refractory work. Large refractory projects at a steam-generating facility occur only when the plant is replacing a wet bottom type ash hopper, furnace water walls, or roof and super heater tubes. These types of projects may occur every 5 to 7 years, or more, because they are categorized as capital improvements and not maintenance. Given these conditions, there are limited opportunities for refractory contractors to work at a steam-generating facility or on a particular boiler, so any work experience a refractory contractor develops at a particular plant or on a type of boiler must come over a long period of time. This may be why most refractory installing contractors spend more than 80 percent of the year working outside of the power-generating industry (in foundries, glass and steel industries, etc.). As those who install refractory or lay brick know, working in a steam-generating boiler is not like working inside a rotary hearth furnace, chlorinator, holding furnace, cupula, calciner, sulfur box, incinerator, tunnel kiln, dipwell hearth, tipup furnace, smelter, top or bottom ladles, or lime kiln. The refractory requirements, expansion issues, and material selections in a steam-generating boiler are unique and can vary from steam-generating facility to facility, and from boiler to boiler. 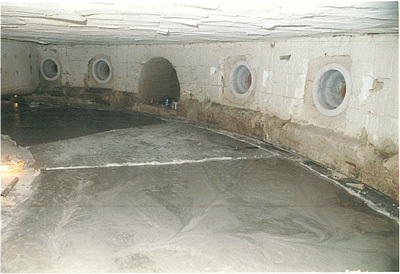 Most refractory installation companies are small, locally owned or operated businesses (with an owner or office manager, one estimator, one or two office staff support, and one or two labor foremen or superintendents on the full-time payroll), which can hinder their ability to estimate large refractory projects completed over a short period of time. 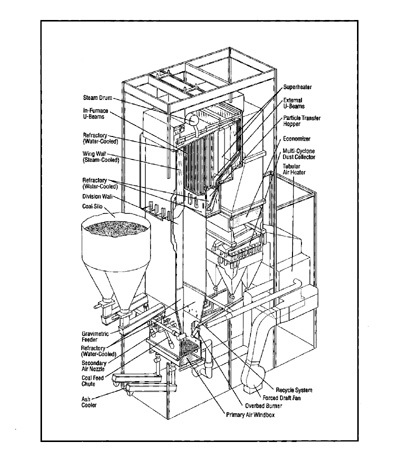 For example, a capital improvement project involving the complete replacement of all refractory materials on a 1960 vintage radiant power boiler would take a person 40 to 80 hours (2 full weeks) of work to calculate actual material quantities (takeoffs); establish labor man hours, productivity, and crew sizing; and complete all material and labor cost estimates. Given the competitive nature of the refractory installation business, it would be impractical for a refractory installer to spend that much time, manpower, and effort just to bid a project. Refractory is a key component of every steam-generating boiler, but the lack of hands-on boiler experience, the limited number of large capital improvement projects, and the nature of the refractory industry create a problem for the power industry. If power plants, original equipment manufacturers (OEM), and construction companies want better bid pricing from their refractory installers, it would be helpful for them to include more information in their bid packages (more than a few drawings and a specification). Understand risk when subcontracting refractory during the proposal phase of a project. 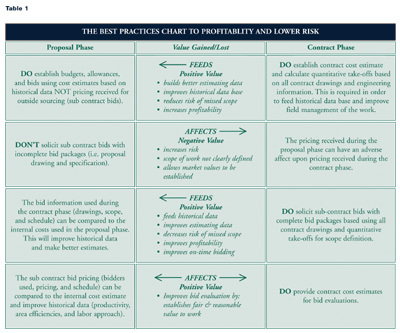 During the proposal phase, the refractory cost estimates (refractory material and labor) can only be done by using historical data and estimating the cost in house, or by soliciting bids from outside sourcing. Unfortunately, the amount of information available (drawings, engineering, technical information, boiler operation design information, etc.) to estimate a project during the proposal phase may be limited at best. For example, when an OEM company is bidding on the supply of a new steam-generating boiler to a power company, usually only one or two proposal-type drawings are generated, showing the barest of information (overall boiler outline and the scope of supply). Just enough engineering is done to satisfy the customer’s bid package requirements (providing proposed boiler performance information), and proposed refractory requirements typically are not addressed. Compare this to the amount of information available for refractory after the project has been awarded to the OEM company. It is then that all engineering and boiler operations and conditions are established, with 100 to 300 drawing (including details), and all refractory requirements (locations and material types) established by specification and/or drawings. Soliciting bids on refractory with incomplete bid packages, especially during the proposal phase of a project, clearly increases a company’s risk. Never go for refractory subcontract bids without a complete bid package. This best practice approach requires that subcontractors receive a complete bid package, including all contractual documents, a quantitative takeoff for establishing work scope (see Rule #3), and the preferred schedule to be worked (for example, 40 single, 50 double). This ensures that all bids will be based on the same scope and schedule (an apples-to-apples comparison). In addition, a complete bid package must include all drawings, details, and specifications associated with the refractory work areas. Ironically, most companies prefer not to include detail drawings (for example, door and wall box details, seal box details, burner throat details, tube arrangement details showing spacing and sizing) in their bid packages because they consider this information confidential or proprietary. However, those installing refractory (or brick) generally have no interest in using this information beyond the given project or plant. Leaving out such drawings only increases the potential for cost adders and missed scope. Bidders will include items that they do not see in the bid package because they are in the business to know what is actually required to complete the project. Bidders will include items that they do not see in the bid package because they know what the solicitor really wants or needs. Bidders will quote a firm, fixed dollar amount that will be all-inclusive, whether the bid pack-age is complete or not. 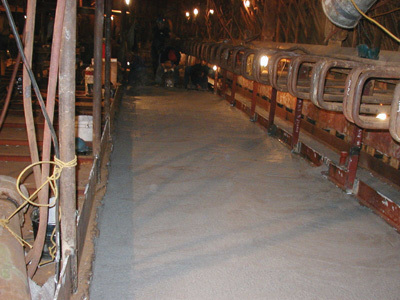 Know the refractory requirements and costs before subcontracting. It increases the risk of omissions and additions in the work scope. It increases the risk of potential health and safety issues or litigation. 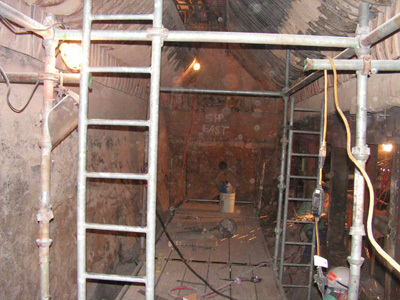 (For example, a refractory installation today specifying a chrome-based product can create a potential risk tomorrow when the refractory material is to be removed. When chrome-based products are heated during boiler operation, they can change to a hexavalent material that must be treated as a health risk). It hinders the bid evaluation process because the bids may not be based on the same parameters (not an apples-to-apples comparison), depending on how various bidders interpreted the work scope. Having a contract estimate to compare against the subcontract bids will speed up the bid evaluation process and help establish expected fair and reasonable subcontract costs. Anyone experienced in the bid evaluation process knows how difficult this can be, especially when only one or two bidders respond. It increases the risk that not all of the bids will be received in time to meet bid and construction dates (remember how small a typical refractory company is). The primary purpose of establishing refractory contract estimates and calculating quantitative takeoffs is to build refractory historical databases and improve field installations by increasing site manageability. This information also can improve subcontracting practices. 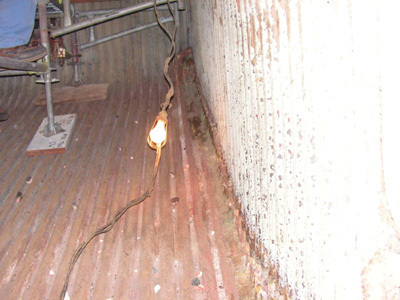 The last place refractory problems should arise is at the plant site during installation. The only way to reduce the risk of potential site problems, increase the chances of receiving a fair and reasonable bid, and meet budgeted allowances is by knowing the refractory requirements and costs before going out for subcontracting bids. Take a cradle-to-grave approach to projects. It ensures that all decisions and approaches taken during the contract phase reflect what was in the proposal phase (reducing risk). It helps estimators increase their accuracy, competitiveness, and efficiency (increasing profitability). It provides information that can be added to the historical database, helping to prevent future project errors or omissions (and increasing profitability). Increasing profitability and reducing risk requires a best practices approach to refractory subcontracting. In the end, following best practices will yield a healthier power-generating industry. Companies cannot afford to use an inflated refractory subcontract number to establish their budgets and allowances, nor can they hope to stay under budget unless they subcontract the best practice way. (1) “Proposal phase” refers to the early or “proposed” stage of an upcoming outage project (sometimes a year or more in advance). This phase is typically done prior to completion (or even start) of any engineering work done for the purpose of establishing a realistic and workable budget/allowance/bid (estimate). (2) This cradle-to-grave approach is essential when dealing with refractory (and brick) because the power industry has lost expertise at all levels (power plants, OEMs, construction companies). Only by rebuilding this expertise can the industry hope to improve refractory installations. The cradle-to-grave approach is one way to develop this expertise.